Please explore the website, update your contact information, and see what scholarships are available for both graduating seniors and previous graduates. 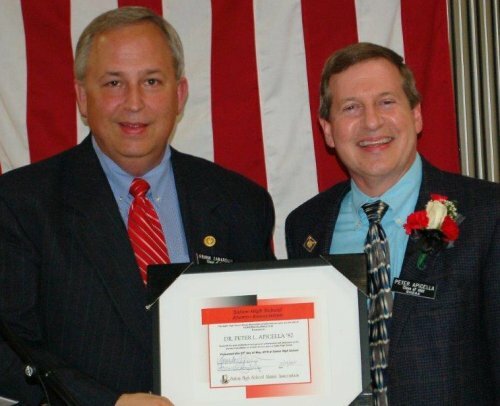 Two 1977 graduates of Salem High School who were generals in their respective military branches have been selected by the Salem High School Alumni Association (SHSAA) for its 2019 Honored Alumnus Award. Retired Marine Corps Lieutenant General Robert Ruark ’77 (left) and retired Air Force Major General Jay G. Santee ’77 (right) will be the featured speakers at the association’s 138th Annual Reunion & Banquet at 6 p.m., on Saturday, May 18, in the Salem High School Cafeteria. Tickets for the dinner are $25 and must be purchased in advance by 12 p.m., Friday, May 10 at SHSAA’s office at 330 East State Street. Call 330-332-1427 for more info. “Both men had outstanding careers of service to our nation and accomplished extraordinary tasks as they rose to the highest ranks of the Marine Corps and the Air Force, respectively,” said Frank Zamarelli ’82, SHSAA second vice president and chair of the Alumni Relations Committee. Two of Salem High School’s finest graduates deserve our very best wishes! We extend our thanks to Superintendent Joe Shivers '66, Ed.D., for his years of service to Salem City Schools, and we congratulate Sean Kirkland '86 upon his future promotion to the office of superintendent. Dr. Shivers was the first Salem graduate to hold this position and now Mr. Kirkland will follow him. We are extremely proud that this will be the first time a SHS grad has succeeded another in that role. We wish Dr. Shivers all the best as he prepares for retirement. Recently, an article appeared in Principal Leadership magazine featuring the topic of alumni engagement in a community. Mr. Kirkland was interviewed for the piece and gave numerous remarks that are a part of the article touting the positive attributes of a thriving alumni association. Click HERE to read, "Enriching the Community with Alumni Engagement." We congratulate Sean Kirkland as he takes the helm as the Salem City Schools School Chief beginning August 1, 2019. Good luck, Mr. Kirkland! Quaker Proud! Virginia E. Snyder Scholarship - This award may be presented to an SHS graduating senior or an SHS graduate enrolled in an English or English-related program at an accredited four-year college or university. Examples of eligible programs include, but are not limited to, English, creative writing, American literature, British literature, rhetoric and composition, and journalism. John P. Sharp Jr. Entrepreneurship Scholarship - This award may be presented to an SHS graduate who is currently enrolled in an accredited four-year college or university, entering at least his or her third year, and enrolled in an entrepreneurship or entrepreneurial studies (major, minor, certificate, or master’s) program. John P. Sharp Jr. Engineering Scholarship - This award may be presented to an SHS graduate currently enrolled in an accredited four-year college or university, entering at least his or her third year, and enrolled in an engineering program leading to a bachelor’s degree or beyond. John P. Sharp Jr. Outstanding Performance Scholarship - This award may be presented to an SHS graduate who is currently enrolled in an accredited four-year college or university, is entering at least his or her second year, and demonstrates a versatile college experience. The applicant must show a diversity of interests within multiple areas such as his or her academic program, co-curricular activities, and/or work experience. John P. Sharp Jr. Scholarship of Promise - This award may be presented to an SHS graduating senior who will be enrolled either in a bachelor’s or an associate degree program at an accredited college or university or in a technical program of study at an accredited school. Applicant must demonstrate commitment to his or her future plans and provide examples that show strength of perseverance when faced with a difficult situation. Stratton Medical Student Scholarship - The John R. Stratton and Carolyn Webster-Stratton Medical Student Scholarship may be presented to a Salem High School graduate who is enrolled in a Doctor of Medicine (M.D.) degree program at an accredited medical school in the United States. Applicants must be in good standing. Click HERE to read more in our Newsletter. John R. Stratton ’64, M.D., and his wife Carolyn Webster-Stratton, Ph.D., contributed $100,000 to the Salem High School Alumni Association in December 2018 to create a new scholarship to lessen the debt load of SHS graduates who are enrolled in medical doctor (M.D.) programs. Stratton is a professor of Medicine/ Cardiology at the University of Washington (U.W.) in Seattle. 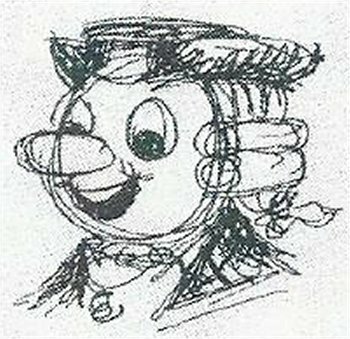 Webster-Stratton is a licensed child psychologist, an emeritus U.W. professor, a pediatric nurse practitioner, and creator of the Incredible Years® Series of books, manuals, DVDs, and evidence- based intervention programs for parents, teachers, and children that are designed to prevent and treat young children’s behavioral problems and to promote their social and emotional competence. Stratton asked the SHS board to give one $10,000 scholarship from the principal of the couple’s gift each year for 10 years. “We are grateful to Dr. Stratton and Dr. Webster-Stratton for this generous gift, and I am pleased that the board embraced this new approach to help SHS graduates who have taken on the academic and financial challenges of pursuing medical degrees,” said Marilyn Wilson Ward ’79, first vice president and chair of the Scholarship Committee. John P. Sharp, Jr. ’46 and his wife Linda Anne Frazer Sharp have left a bequest in excess of $450,000 to enable the Salem High School Alumni Association to create multiple new named scholarships. Ashley Frazer Sperling, the couple’s eldest niece and executor of their estate, will develop criteria for the new scholarships, perhaps assisting with the unmet financial needs of SHS alumni enrolled in the second, third, and fourth year of undergraduate programs and incorporating the couple's interest in entrepreneurial and artistic pursuits. Click Here to read more in the association's newsletter. 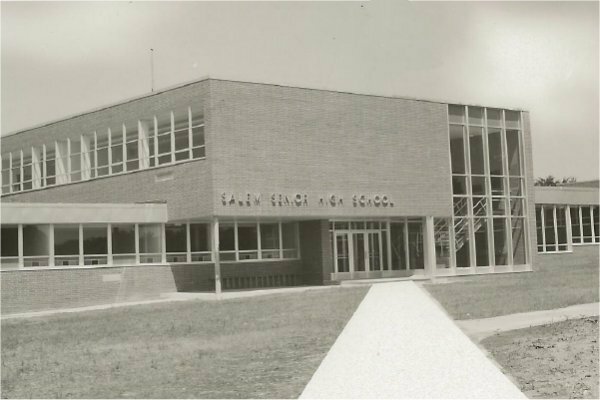 SHSAA announces the completion of the funding for a named scholarship based on a $94,598 bequest from Virginia E. "Jinny" Snyder ’43, who taught physical education at the Salem Junior High School from 1953 to 1975. Contributions from two classes and several individuals completed the $100,000 necessary for a named scholarship, which will be given in memory of Miss Snyder for the first time in 2019. The Association thanks the many generous donors who have helped to honor the memory of Miss Snyder through a scholarship that will benefit Salem High School graduates for many years to come. The Salem High School Alumni Association extends a warm welcome to our new Executive Director, Audrey Cleveland Null, Class of 1976. Audrey brings her leadership skills and expertise in non-profit management to this new full-time position, as she spent the past 15 years as Executive Director of the Salem Area Chamber of Commerce. 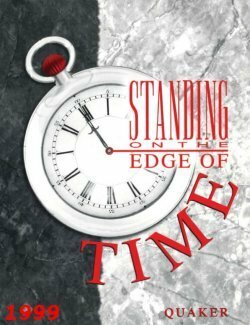 Audrey received her bachelor’s degree in 1980 from Heidelberg University and returned to her hometown to teach, but only did so for a few years before beginning a career in the banking industry. She married fellow classmate, Peter McCulloch Null, Class of 1976, in 1983. Audrey enjoys reading, writing, and shopping for antiques, but she especially appreciates the time she spends with her husband Peter, her dog Kalee Jane, and other family members that consist of numerous nieces and nephews. Audrey’s favorite memories of Salem High School are her experiences in the SHS “Pride of Salem” marching and concert band. Her senior year, the band travelled to Columbus to state contest and received a “1” rating, something that has not been done since then. She also recalls the 1976 basketball team, who were District Champions, and the immense sense of pride and team spirit that permeated the entire school during that special season. “We’re from Salem…Couldn’t be Prouder!” was a favorite cheer that was heard during her days at SHS. Those words have always stayed within Audrey’s heart and have often evoked emotional responses that have inspired her to stay positive in her role as a leader within the community of Salem. awarded 97 scholarships, totaling $334,860, to 83 students. Click HERE to view scholarship recipients. Click HERE to read more about the banquet and view/download photos. Click HERE to see a video of the baquet. Dr. Peter Apicella, a 1982 Salem High School graduate, was the featured speaker as the 2018 Honored Alumnus. Representatives of classes celebrating the 35th, 50th, 55th, 60th, 65th and 70th anniversaries of their graduations spoke. Click HERE to see a video of the banquet. The Salem High School Class of 1956 celebrated their 80th birthdays on July 28, 2018, at Ezio's. Members of the Salem High School Class of 1958 enjoyed gathering for their 60-Year Class Reunion on Saturday, October 13, 2018, at the Salem Golf Club. The festivities kicked-off on Friday, October 12, 2018, at the Italian Club (pictured above) and concluded on Sunday, October 14, 2018, with a brunch at the Salem Golf Club. Members of the SHS Class of 1968 celebrated their 50-Year Class Reunion with a weekend of activities beginning Friday, July 27, 2018. Click HERE to read more and download pictures. The SHS Class of 1971 celebrated the milestone birthday of 65 on June 16, 2018 complete with a Medicare card cake and fun photos provided by PhotoGenix Booth. 59 class members, along with 29 guests, attended the Saturday event, which was held in Boneshakers‘ banquet room in Salem. An open meet and greet was held on Friday night at Coaches Restaurant. 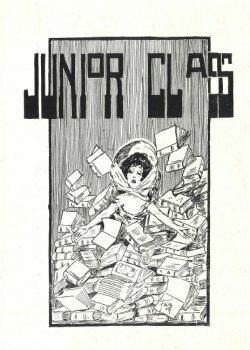 Click HERE for the Class of 1971 Facebook page. Members of the Class of 1973 celebrated their 45-year Reunion on Aug. 31 and Sept. 1. The weekend began with the class attending a Friday night Salem football game at United. After seeing a Salem victory, classmates returned to town for a "pub walk." A round of golf and breakfast were options for Saturday morning followed by a visit to the Salem High School Alumni Association office in the afternoon for finger sandwiches, cookies, punch, and coffee. Memorabilia from the Class of 1973 was on display. The main event was a Saturday night dinner at the Salem Elks. The film “I’m a Buckeye: The Earle Bruce Story” is a celebration of Earle Bruce, who is well known for his coaching at The Ohio State University where his football teams won four Big Ten Conference titles after he succeeded the legendary Woody Hayes. Less well known is that, preceding his college coaching achievements, Coach Bruce was an extremely successful high school football coach. In ten seasons his overall record was 82-12-3. 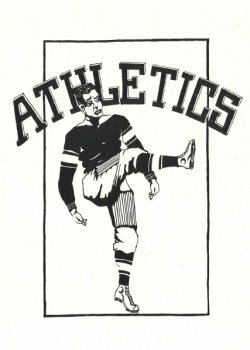 In 1956 Salem High School gave Bruce the opportunity for his first head coaching position. 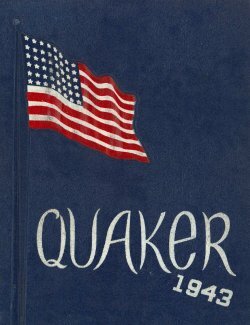 In four seasons his Quaker teams amassed a 28-9 record. He continued his winning methods with Sandusky High School and Massillon High School before heading into the college ranks. However, he never forgot his start in Salem, the players he coached, and the friends he made in those first years. In 2016 Coach Bruce was interviewed at the Salem High School Alumni Association office along with several SHS graduates including Bob Sebo '54, executive producer of the new film. 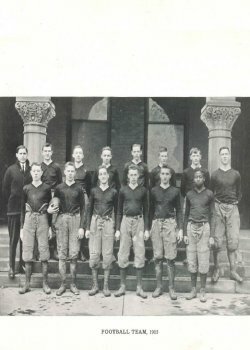 Salem alumni interviewed for the film included Frank Copacia '60, Larry DeJane '60, Joe Julian '60, Fred Phillis '60, Moe Meissner '58, and Henry Maxim '58, all of whom played football for Coach Bruce in Salem. 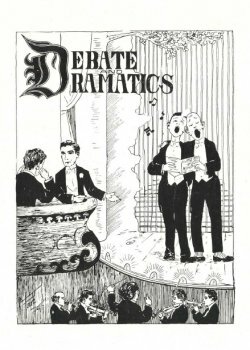 Listen to the melodious sounds of the Salem High School concert bands from the 1950s and 1960s led by Howard "Doc" Pardee. Thanks to Doc’s foresight in recording the concerts and the generosity of his children and SHSAA alumni, SHSAA now has more than 15 hours of SHS concert band music online including classical, big band, jazz, marches, and Broadway tunes. Click HERE to listen from your computer, smartphone, or tablet. Barbara Butler Greene '44 is remembered for writing and composing the Salem High School Alma Mater as an SHS student. Stephen Navoyosky '53 provided a choral arrangement. He saved an original recording of the 1964 SHS Robed Choir performing our Alma Mater which is now available on our website. Click HERE to read more and listen. 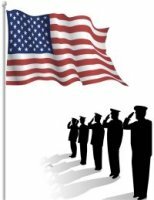 information on the association's military webpage. 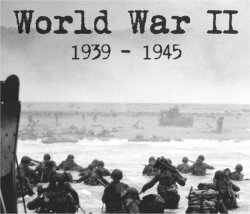 and sacrifices of our graduates in the military during World War II. 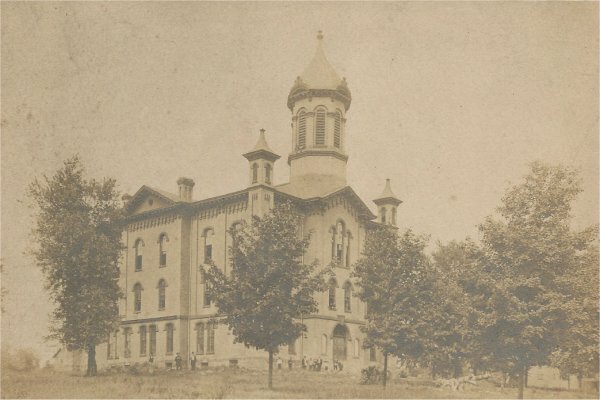 graduation class of 1865. 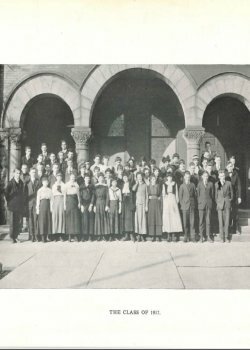 The ability to search for classmates has been available for many years. Now a convenient feature has been added so that fellow alumni, family, and friends can narrow the search to deceased members of the Salem High School family. 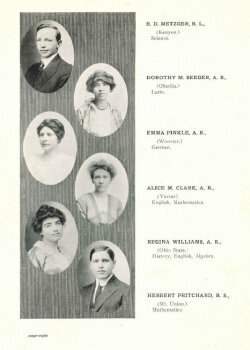 The Alumni Remembrance section includes the ability to display recently deceased alumni and to search by class year or name including family names across generations. as a class gift to help future Salem High School graduates. All donations are tax deductible and will be listed in the semi-annual association newsletter. 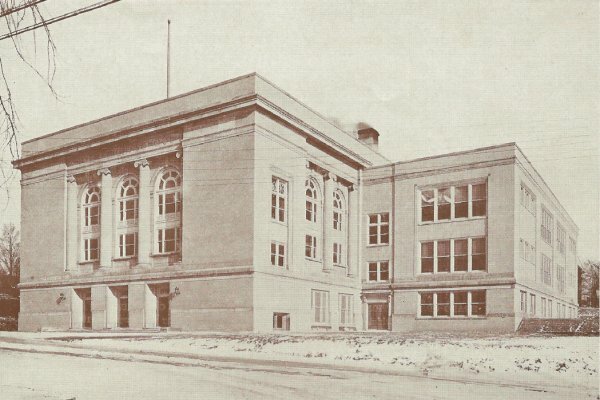 to view pictures, read about activities, and relive the past of Salem High School. Click HERE for Alumni Remembrance. 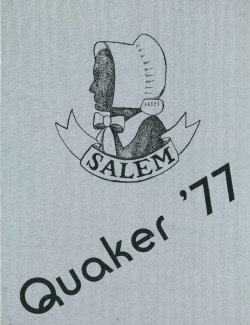 The Salem High School mascot that has come to be known as Quaker Sam has evolved over the decades. 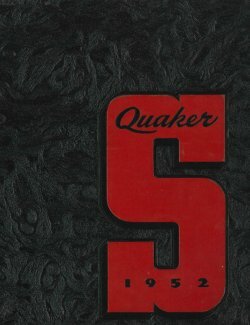 Many people think the Quaker man mascot started in the 1950's thanks to the efforts of Coach John Cabas; however, a male Quaker figure made appearances in yearbooks and Quaker newspapers much earlier. 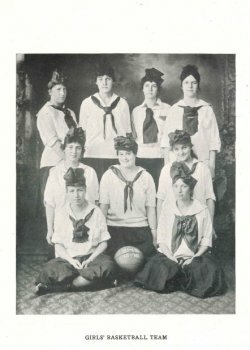 Read more in this article prepared with source material from the Salem Historical Society, Salem Public Library, and our alumni association and published in SHS football and basketball programs. 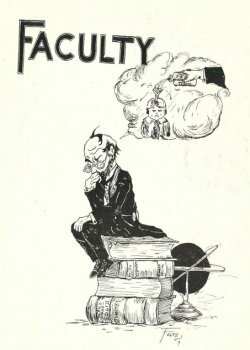 written in 1936 by Charles Freed '36, older brother of the famous DJ Alan Freed '40. 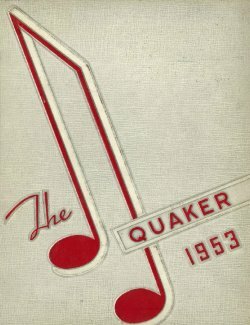 "The Quaker Drive On Song" was played by the Salem High School Marching Band from 1936-1948 but disappeared for more than 50 years. Thanks to the detective work of Barbara Butler Greene '44 and Stephen Navoyosky '53, the song was rediscovered in 1994. 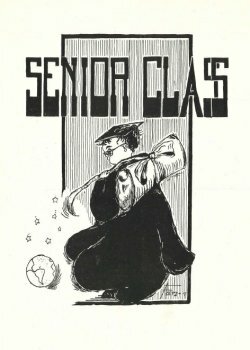 Click HERE to listen to the SHS Alumni Band in 1994 and read about the song. Support our scholarship program every time you shop and at no cost to you. Click HERE to learn more and sign-up. 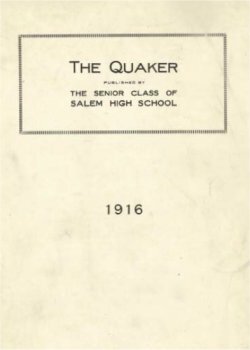 The Salem High School Alumni Association in conjunction with the Salem Public Library is proud to make available more than 100 years of Salem High School documents. 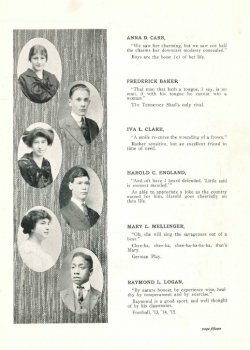 Search yearbooks for students, teachers, clubs, and organizations. 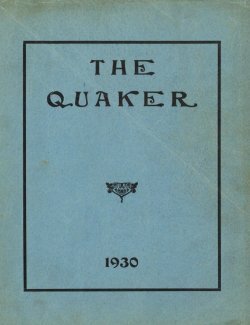 Read Quaker newspapers from the early 1900s. 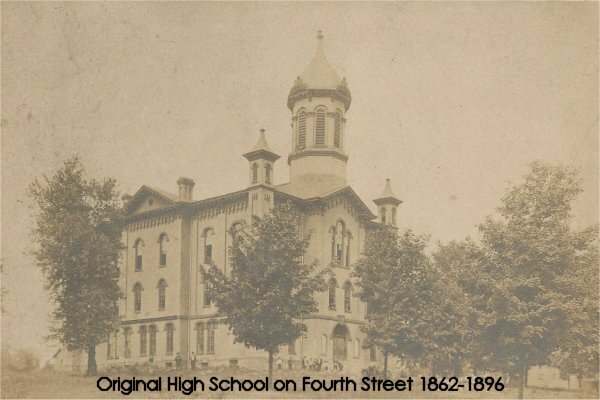 Learn about the early days of education in Salem (written 1876). What does it cost to educate our children? The escalating costs of college attendance adds urgency to our mission to help provide more scholarships to new Salem High School graduates and alumni. The alumni association is proud to have been able to give approximately $350,000 in scholarships annually in recent years. However, even while trying to help as many students as possible, the association's current funding allows for only about one-third of each graduating class to receive a Salem High School Alumni Association Scholarship. Though the majority of these are substantial scholarships of several thousand dollars each, SHSAA scholarships cover only a portion of college costs. 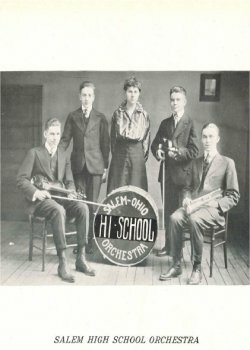 The mission of the Salem High School Alumni Association of Ohio is to award scholarships to qualified students; to manage assets including memorabilia for future generations; and to honor the organization’s past by nurturing friendships and enriching memories. 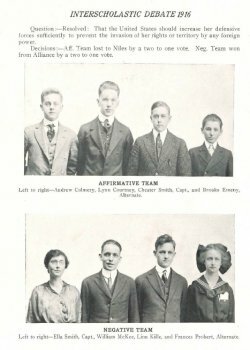 Regular membership of the association is comprised of the graduates and past attendees of the Salem High School in Salem, Ohio. 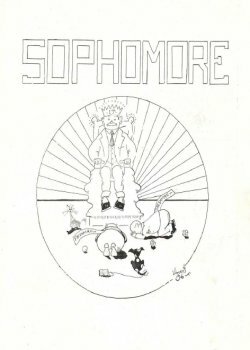 The organization strives to keep alive memories of high school days and friendships by publishing the association newsletter, maintaining a website, interacting through social media, making available yearbooks and Quaker newspapers online, aiding the class coordinator with reunions, and housing in the association office archived records and memorabilia of Salem High School. Our History: The Salem High School Alumni Association was one of the first high school alumni groups in Ohio and is one of the most generous in the country. 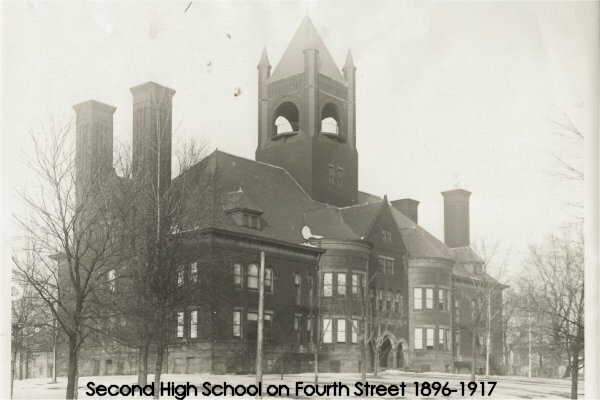 Thirty-three Salem High School alumni met with several of their former teachers on June 14, 1882, and the following year began the tradition of holding an annual reunion banquet. 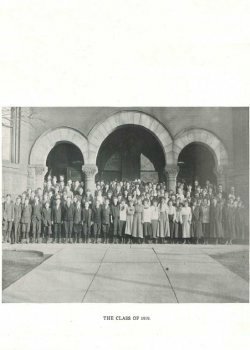 Several years later, association members decided that they wanted to do more than keep alive memories of high school days--they also wanted to help outstanding graduates attend college. 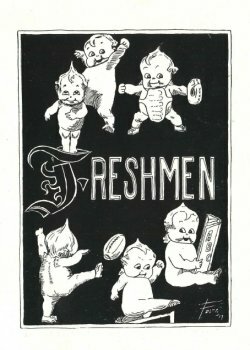 On June 20, 1903, the association established the first high school alumni scholarship fund in Ohio. Salem High School graduates and friends were contacted to raise funds, and within four years the group had enough money to buy a $1,000 bond. 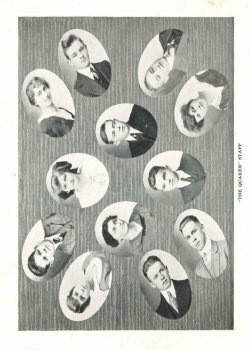 The $60 interest generated by the bond was awarded as the first alumni scholarship to Walter French when he graduated in 1908. 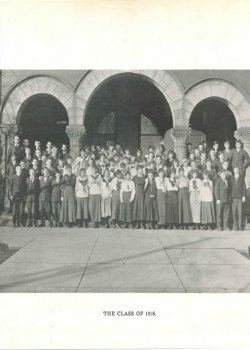 The association is now in its second century of granting scholarships. 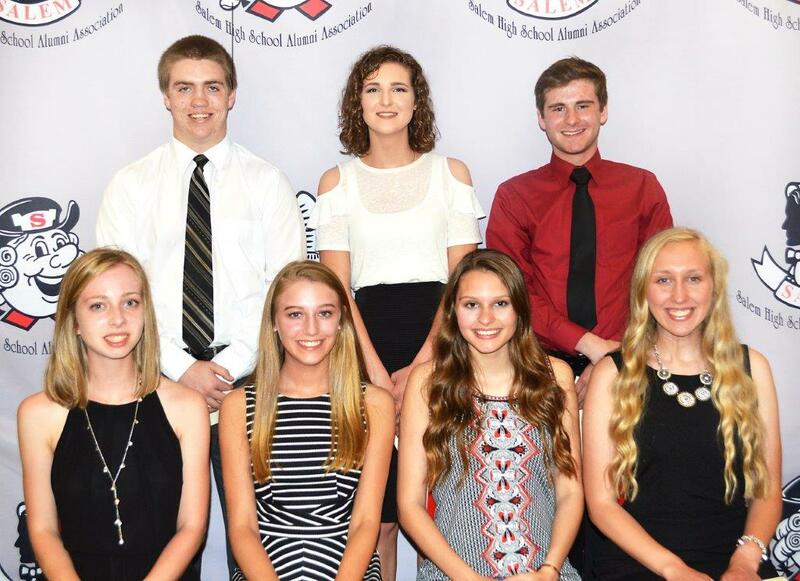 On May 19, 2018, at the 137th Annual Reunion and Banquet, held at Salem High School, the association awarded to sixty-one 2018 graduates, twenty-one alumni, and one current student a total of $334,860 in scholarships. 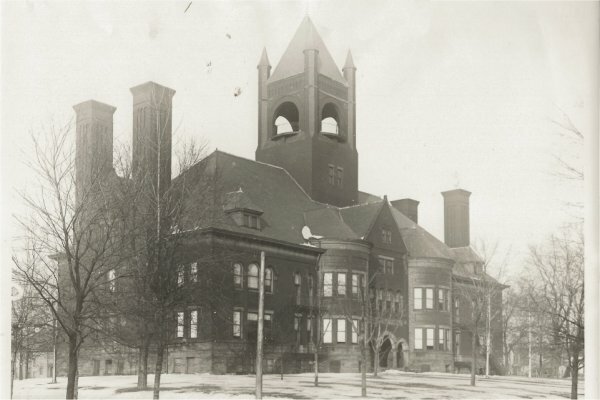 The total since 1908 is approximately 7.2 million dollars.